Thank you to Amelia at Flatiron Books for the review copy of this book! All opinions are my own! You find the belongings or the shelter, the body’s always next. Always is. When Anne Bogel picked Jane Harper’s The Dry as a selection for her Modern Mrs. Darcy book club, I couldn’t wait to read it. I ended up loving it (Check out my review of The Dry HERE.) and was excited to learn that she had a sequel (different setting, same detective, Aaron Falk) coming up very soon. Force of Nature , while quite different from The Dry, is just as atmospherically dramatic, and I couldn’t put it down until the very end. Five females on a work-sponsored team-building trip head off on a days-long hike into the fictional Giralang Ranges in Australia. When only four of them emerge from the forest, a search and rescue mission is put together, and Agent Aaron Falk is called in to investigate. Each woman has a slightly different story about what happened, and they’re all hiding something. Falk also has a connection with the missing hiker, one that he can’t tell anyone about. Did someone on the trip murder the missing woman, or will she surprise them all with her own secrets? I really, really liked this book. It’s very different from The Dry, though, but the writing is just as good. Where The Dry really got into character development and the characters’ personalities, what drives them in life, Force of Nature relies more heavily on plot. I love a good plot-driven novel, so that didn’t bother me, but I did miss getting to know the new characters in the book and getting to know Aaron Falk even more. Still, the plot is fantastic, the writing is snappy, and Harper does a wonderful job of switching back and forth between the investigation and what really happened on the hike. If you like suspense and well-written, if not as well developed, characters, you will love this book! 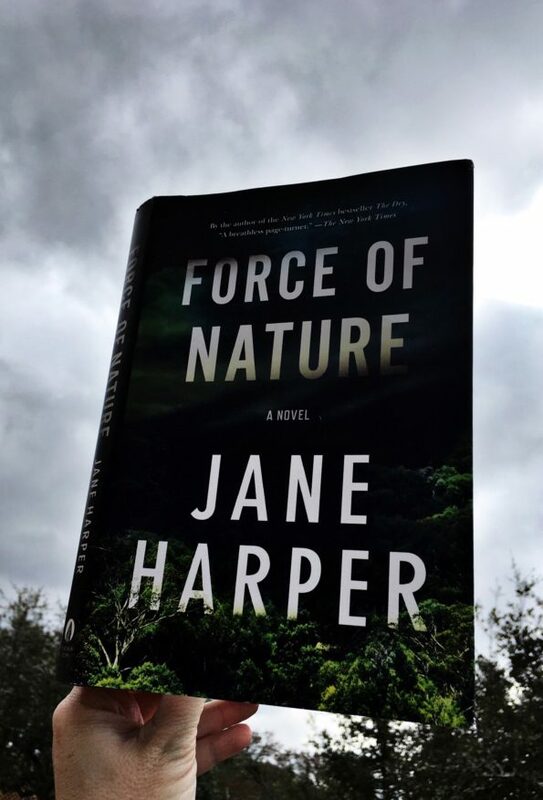 Force of Nature is a strong sequel, and Jane Harper is clearly a talented writer. If you haven’t read The Dry, I would recommend reading it first, but you don’t have to to enjoy this book. She’s at work on a third Aaron Falk novel, and I cannot wait for it!